Bruce Springsteen‘s take on the story of Christ’s Passion certainly reflects a profound spiritual awareness of what this event is actually about. In an episode for VH1 Storytellers, Springsteen meditates on his song Jesus was an only son, and brings out the universal and existential truths the story of the Passion reveals. Click here to read a full transcription of this video. Springsteen’s interpretation of the song’s ending is especially moving. A transformation takes place. 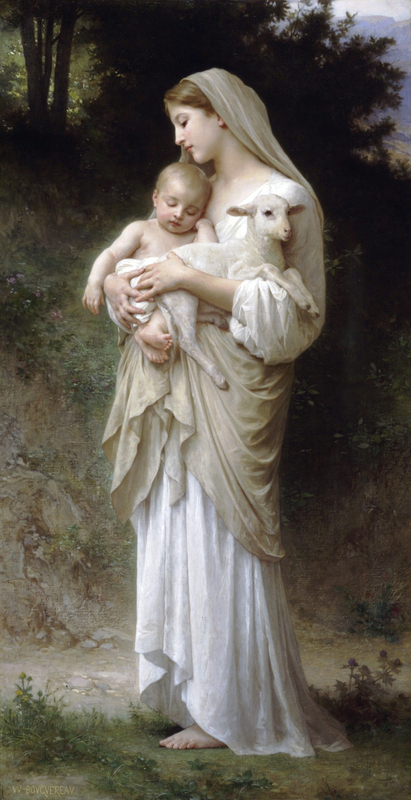 Whilst in the beginning of the song Jesus is comforted by his mother Mary, at the end it’s the son who comforts his mother. Mary is asked to respect the particular destiny of her child. Jesus chose the path of compassion and love. He was touched, so deeply, by the suffering of the outcasts that he couldn’t do anything else but reach out to them. By associating him with these scapegoats, he eventually became a victim himself. In refusing to take part in a social system that constructs itself by means of sacrifices, Jesus was eventually sacrificed himself. Love seeks to be concrete and ’embodied’. The very nature of Love is to throw off its spiritual garment, to ’empty’ itself from the ‘sacred’ realm in order to become ‘flesh’ – which is called ‘kenosis’. The story of Christ’s Passover can be considered a pinnacle in our clumsy attempts to express this reality. However, if these attempts produce songs like Bruce Springsteen’s Jesus was an only son, we should be grateful, as we are comforted by the fragile light of hope amidst our own ‘darkness on the edge of town’. Faith, hope and love have always played a part in Bruce Springsteen’s songs, but this has become more explicit in recent years. Springsteen’s willingness to talk about these themes also is relatively new. 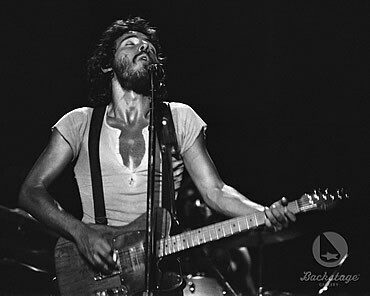 Percy’s nephew, Will Percy, subsequently interviewed Springsteen about the formative influences on his song-writing for the Harvard psychiatrist Robert Coles’s magazine Doubletake in 1998 (click here to read). I assembled some excerpts from this interview. Click here if you’re interested.